Holy sprouts there’s only a few days left until Christmas, I don’t know about you guys but I can’t quite believe we’re in December let alone Chrimbo. The past six weeks have been pretty wonderful and I’ve been busy and working hard at Frog & Pencil HQ and doing the odd bit of work for SeaChange Arts. There are so many posts swirling around in my head and just not enough time to write them, hence the serious lack of content recently. So, I’ve decided to write a catch up post to give you a brief overview of what’s been happening recently and we can start afresh in January. Bust out your mince pies, your favourite festive tipple and enjoy. Following from my last post I was preparing for The Most Unusual Wedding Fair at Godwick Great Barn. This is a brilliant wedding fair for the type of couple who’s looking for something a little different, a little boho, a little festival and a little unusual; this kinda fair is my bag. This years theme was ‘Wild Bohemia’ and I had so much fun getting my stall ready. I chose a colour palette of greens, grey, rich jewel tones and metallics with the idea of creating the feeling of an autumnal forest floor. This involved buying reindeer moss, spraying pumpkins and munchkins (how adorable is a munchkin!) in copper, gold and cream and making tiny mushrooms out of clay. I also wanted to incorporate perspex into my signage seeing as this is a trend for 2017 and my hubby and I spent an evening making wooden holders to sit the signs in. (He loves it when he comes home and I mention that I’ve had an idea!) To top it off I recycled my newly acquired paper flower skills to make a new batch to fit my colour scheme. I think it looked pretty damn special, I loved it. On the day the weather was TERRIBLE but that didn’t stop all our lovely couples from flooding over. Godwick was packed full of excellent suppliers and it was a great experience for me. I look forward to taking part again in the new year. I took a week off in the middle of November to recharge after the wedding fair season and I was strict when it came to work. I unplugged, enjoyed time with Lewie in York and truly relaxed. It was just what I needed and I came back feeling energised. During the wedding fairs I ran a competition for people to win a couples watercolour portrait. This was super popular and having chosen two lovely winners I created their illustrations. It felt so good to draw and paint again after so much prep for the fairs and I was happy with the final results…so were Holly and Chloe, phew! Perspex sign to let couples know about Frog & Pencil’s watercolour couple portrait competition. Frog & Pencil’s Oxnead competition winners, Holly & Chris. Final watercolour couple portrait featuring their adorable pup! Frog & Pencil’s The Most Unusual Wedding Fair competition winners, Chloe & Michael. Final watercolour couple portrait. At this time I picked up a brilliant commission for wedding invitations (woohooo!). L&R are getting married early spring next year and wanted something quickly. I remember chatting to them at the Oxnead Wedding Show and was very excited that they got in touch. They asked to have a family portrait with a personalised garland as their main illustration and an RSVP card. I love this illustration, I think it’s such a sweet idea to include their children on the invites too. These are still to be posted to guests so no sneak peeks for now…keep your eyes peeled. I met the fabulous Lou from Lou Lou Loves Vintage at Oxnead too and she has commissioned me to create her a new business logo. It was great visiting her home and seeing her creative space and super helpful to generate ideas. This is a work in progress but in the new year it will be ready to unveil. Networking has been wonderful for Frog & Pencil this year and I’ve met so many amazing, like-minded suppliers who inspire me. A brief chat on Instagram led to a tasty meeting with Philippa from The Little Party Company. She makes adorable and yummy favours, treats and styling for celebrations and she wants to collaborate with me. We have talked through some ideas but I’m raring to get stuck into this properly in the new year. I have a feeling this is going to be a cracking collaboration. Speaking of collaboration I also created a card for Victoria at The Bottom Drawer Bridal (looking for your wedding dress gals, make an appointment; you’ll love it). She wanted to give her brides thank you cards at an upcoming event and instead of buying from a generic card store asked if I could make something. Time was pretty short, so I recycled an old illustration which was perfect and made for a cute card. I hope to work with Victoria again in the future, I adore her dresses. This deserves its own post but my bridesmaid cards have also proven really popular and I’ve been delivering them all over the place. It’s encouraging because I want to make more pieces like these; small purchases which are easily printed and restocked. The new year will see the birth of a Frog & Pencil online shop, I can’t wait! If you’re looking for a fun way to ask your favourite gal pals to be in your bride tribe, give them one of my postcards. £2.50 each and they come with an envelope, just email hello@frogandpencil.com to enquire. Frog & Pencil’s Will You Be My Bridesmaid? postcard selection. After umming and urring over the EDP Bride Wedding Awards I decided to enter Frog & Pencil for Best Newcomer. Having been given an encouraging little nudge, I also put myself forward for Best Stationer. I had zero expectations but thought why not just give it a go and see, what do I have to lose? To my delight I was shortlisted in both categories! This meant a judges visit for one award and I had to send a package for the other with example of my work. Then came the big news that floored me…I made it as a finalist for Best Wedding Stationery Provider. I literally cried for about twenty minutes in front of my laptop re-reading the e-mail. I am over the moon and still in shock to be in the running. I’m also bloody proud of what I’ve achieved in these ten short months. The competition is tight but I’m just exited to be there and to experience the big event in January. There’s a fancy awards dinner where the winners will be announced. For me, it’s a night to enjoy seeing my hubby in a tux and to celebrate the wonderful talent that’s in this county. 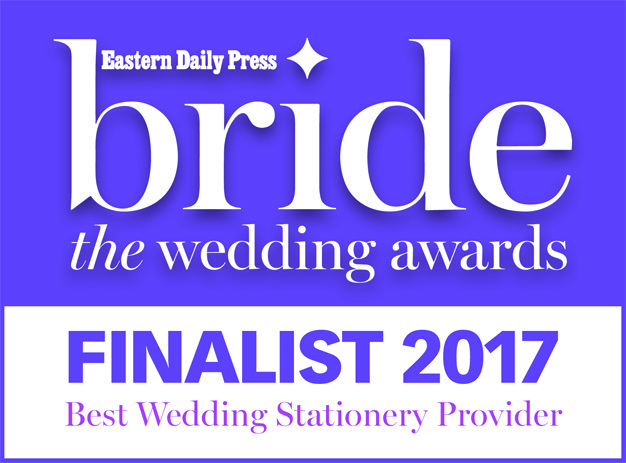 Yesterday I had a call from the EDP Bride Awards Team who were happy to inform me that Frog & Pencil has been shortlisted for a judges visit for the Wedding Innovation Award. Wow! 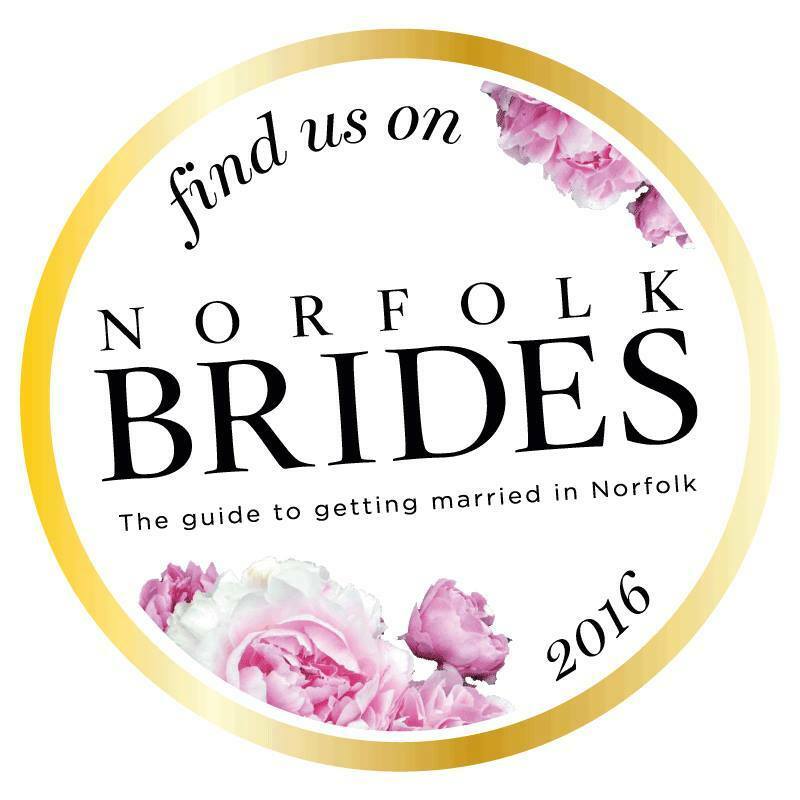 This award is for businesses or individuals who bring new and innovative ideas to the industry that benefit and move the Norfolk wedding community forward. I’m simply honoured to be considered as I’ve worked so hard to develop and create alternative wedding stationery products for couples. For all those tough moments, it now truly feels like I did the right thing and I’m on the right path. Keep those fingers crossed :). This brings me to the end of my catch up post and as you can see it’s been a bit of a whirlwind…scrap that, this whole year has been a whirlwind. Starting out in February the year ahead of me was a blank sheet of paper waiting for an adventure to begin. It’s been difficult and it’s been glorious and those moments by far outshine the down days. I’ve loved every commission I’ve worked on and thoroughly enjoyed meeting my awesome couples. Thank you for putting your wedding stationery trust in my hands. Business has been a slow burner but I’ve grabbed all the opportunities thrown at me to network and I have met incredibly talented people in this industry. There is an abundance of creativity in this beautiful county so thank you to those who inspire me to be better. There’s still a few months to go until Frog & Pencil’s first birthday so I’ll save my highlights for then. I just want to say that it feels like everything is falling into place and I couldn’t have imagined to be ending 2016 on such a high. So, this is me signing off for the year. It’s been a pleasure blogging (when I get the chance) and I hope you still enjoy the content. Lots of ideas in the 2017 pipeline, so I hope you stick around. Wishing you all a blooming fabulous Christmas and a bright new year. Here’s to a fresh sheet of paper and I can’t wait for Frog & Pencil’s 2017 adventure!